The ancient town of Hasankeyf in Turkey has for years been struggling against the destructive Ilisu Dam, currently under construction in Southeastern Turkey. The dam would not only flood Hasankeyf but in addition would lead to a huge decrease in water flows to Iraq, threatening the Iraqi Marshlands in its very existence. The town of Hasankeyf and the Iraqi Marshes share a common struggle; the fight against Ilisu Dam and the aim for inclusion in the UNESCO World Heritage List. Both heritage sites are located at each end of the Tigris River, pointing towards a shared heritage, history of all people living in the Tigris River basin. Instead of leading to competition, the water of the Tigris River could be a source of peacebuilding between Turkey and Iraq. To discuss the issue of Ilisu Dam a ‘Hasankeyf and Tigris River Valley’ symposium was held from 7-8 May in Southeastern Turkey, organized by the Municipality of Batman. Academics, policymakers and activists were present to discuss the Ilisu Dam project and its persisting threat to the ancient town of Hasankeyf and the heritage of the Tigris River. 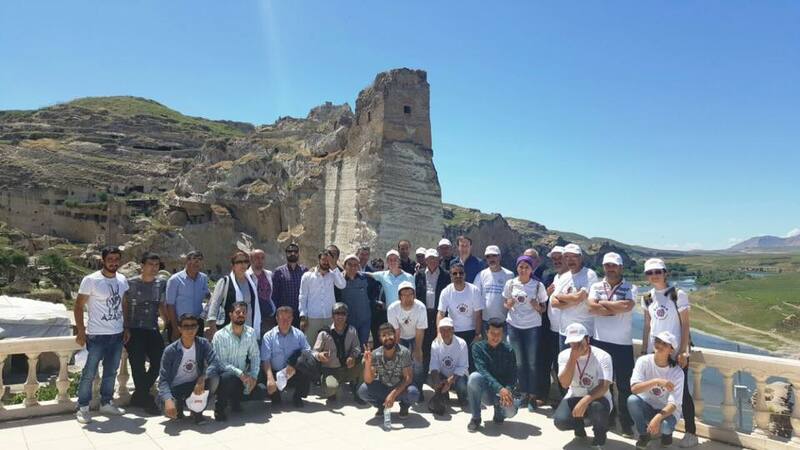 The first day of the symposium was held in Batman, while the second part took place on the banks of the Tigris River in Hasankeyf. Notable speakers among others were the former Turkish Minister of Culture Ertugrul Gunay, Professor Zeynep Ahunbay (former Europe Nostra Turkey chairperson) and mayor of Hasankeyf Abdulvahap Kusen. 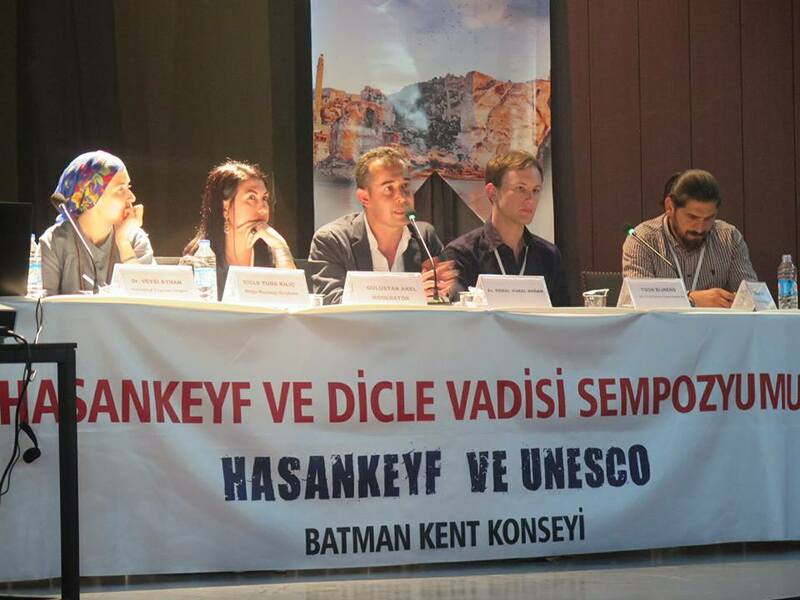 Some of the advocacy groups present were Doğa Derneği, Hasankeyf Matters and the Initiataive to Keep Hasankeyf Alive. The event was open for all audiences to attend. Notably, the symposium gave a platform to inhabitants of Hasankeyf, hereby demonstrating that the issue goes beyond the preservation of heritage: it involves the lives of people. The event ended with a march of participants and activists through the endangered town. The inhabitants of Hasankeyf and the indigenous people of the Iraqi Marshes – the so-called Marsh Arabs – live in uncertainty over their future, causing economic and psychological suffering. Mustafa Bayram, mayor of the town of Halfeti in Sanliurfa, Turkey – flooded in 2000 by the Birecik Dam – shared the sad experience of having a one’s identity destroyed by a mega water infrastructure project. Ilisu Dam is now near 80% completion. ‘New Hasankeyf’ has been built on the other bank of the river, to which facilities such as hospitals and schools have moved. However, the recent choice of Hasankeyf as one of Europe’s 7 most endangered heritage sites by Europa Nostra offers hope for the endangered town. On the Iraqi side, in the Marshlands, the inaction of the Iraqi government to secure future water flows coming from Turkey is deplorable, but advocacy groups are closely following up on a possible inclusion of the Marshes in the UNESCO World Heritage List. The ecology movement in Turkey is steadily growing, as evidenced by the Batman/Hasankeyf symposium, but also by the recent first conference of the Mesopotamian Ecology Movement in Van, Turkey, in April, where a wide range of ecological issues such as the struggle against destructive environmental policies, large hydropower projects, and the commodification of water were on the agenda. Ilisu Dam demonstrates this is a struggle across borders, and joint international strategies are necessary. 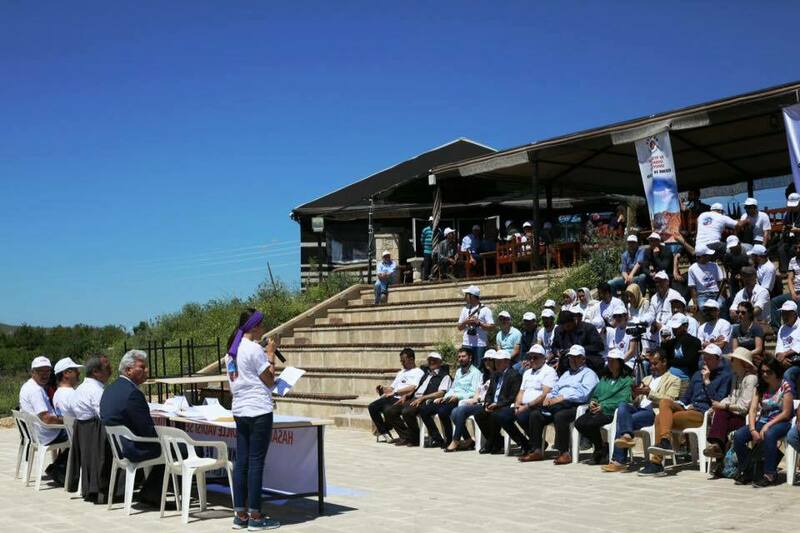 The Save the Tigris Campaign was present at the Batman symposium to express its solidarity with the people of Hasankeyf and to strengthen the forces that oppose Ilisu Dam. In a panel presentation, the case of the Iraqi Marshes, the magnitude of Ilisu Dam’s impact on Iraq and the advocacy efforts of the campaign were presented and discussed with the audience. Ties were strengthened with advocacy groups in Turkey, in advance of the UNESCO World Heritage Council Meeting in Istanbul in July 2016. In a joint declaration of the participants of the Batman/Hasankeyf symposium, all participants call to halt the construction of Ilisu Dam in order to secure the future of Hasankeyf, and to consult local communities in the debate over their future. Policymakers are demanded to take up this issue. In addition, the statement underscores the trans-border impact of Ilisu Dam, calling for the preservation of the unique ecosystem that is the Iraqi Marshes.